Thu., July 14, 2016, 4:24 p.m.
Rep. Cathy McMorris Rodgers turned down an offer to give a prime-time speech during next week’s Republican National Convention; the fourth-highest-ranking member of the House of Representatives isn’t even attending the gathering in Cleveland. McMorris Rodgers’ spokesman said the congresswoman would be in Washington state because of a change in plans. She was approached last week by convention planners about delivering a speech one evening of the convention, but eventually declined the offer, a spokesman said. 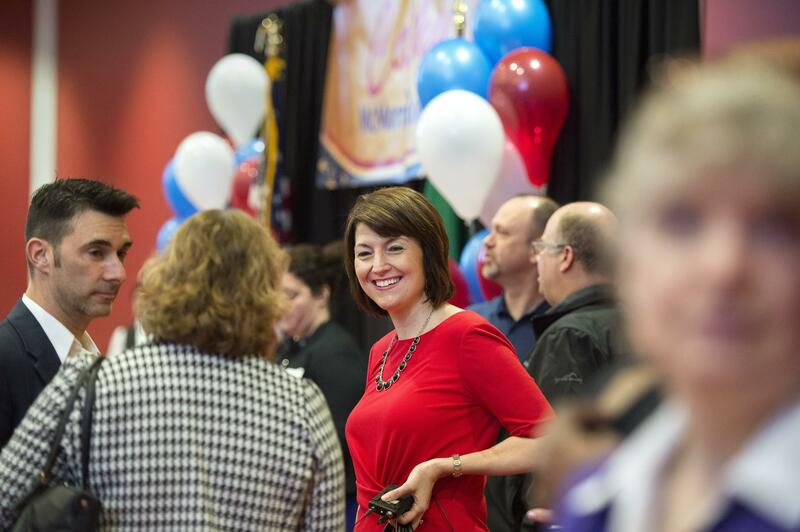 Staff said Thursday that McMorris Rodgers instead will attend a memorial service for a longtime friend and colleague in Olympia on Monday and campaign in her Eastern Washington district, where she faces four challengers in the Aug. 2 state primary. “She decided this was the best use of her time,” a spokesman said. McMorris Rodgers was a Washington delegate to the 2008 Republican National Convention as a member of a unity slate behind nominee John McCain. An early supporter of 2012 nominee Mitt Romney and a choice by party leaders to defend it against Democratic claims of a “war on women,” she was originally scheduled to give a speech on the opening night of that year’s convention in Florida. When that night was canceled and the convention was shortened because of a tropical storm, she was named a convention host and gave “welcoming” speeches on the other nights. This year, McMorris Rodgers avoided saying whether she supported Trump for much of the primary season. Just before the Washington primary she said in a long post on her campaign Facebook page that she was voting for Trump – who by that time was the lone Republican still in the race – but wasn’t enthusiastic about it. The list of speakers released Thursday includes other House Republican leaders, including Speaker Paul Ryan and Majority Leader Kevin McCarthy, senators, governors and some of Trump’s former GOP presidential rivals, as well as his wife and children, former football star Tim Tebow, and Antonio Sabato, a soap opera actor and underwear model. Published: July 14, 2016, 4:24 p.m.